The rationale of the Gardeners HQ site is to provide information on how to grow and care for plants that are frequently growing in the garden. 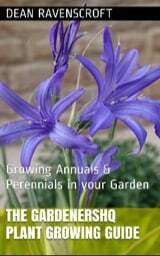 The site carries general growing guides for over 600 genera of plants, and more specific guides on the more popular garden species of flowers, herbs, vegetables, and fruits. In addition to the 'plant growing guides', which provide information on sowing, locating, and caring for your plants, the GardenersHQ site also carries garden feature articles to help you attract wild-life to your garden, and to add wonderful year-long color to your garden. Future topics will be aimed at organic gardening, growing plants in containers or small spaces, Square-foot gardening, raised bed gardening, and landscaping. There are many reasons for gardening. Some people find it relaxing, some do it for exercise, others are more interested in the results gained from their efforts, such as enjoying beautiful flowers in the garden or eating their delicious home grown vegetables. Perhaps one of the main reasons that people garden is to feel at one with nature and mother Earth. Surely there are few things more satisfying – other than your own family of course – than sowing a seed, nurturing the seedlings, and watching them turn into a fully-grown, beautiful creation. Healthy food. In these days of mass-produced everything it is no surprise that gardeners like to grow their own fruit, herbs, and vegetables. Not only does it taste so much better when it is freshly picked but you know exactly how it was grown, hopefully avoiding non-organic pesticides as much as possible. A beautiful garden. Go on I’ll admit it, even us men love beautiful fragrant flowers. By planting the right flowers in your garden or yard, you will be able to bring color to the garden all year long; even in the winter if you use evergreen species such as Daphne, Buxus, Lavender, Fatsia, Camellia, and Euonymus. To me, there can be little as delightful as a Fall flower garden though, the contrast of bright displays along with the wonderful colors produced by senescent leaves makes the garden at its most beautiful. To be at one with, and bring nature into the garden. In addition to the plants themselves, growing the right plants can help to bring many birds and animals into your garden. You might try to grow butterfly garden plants for instance to bring these beautiful creatures into your garden; a delight for young and old alike. Exercise and getting yourself outside. There is nothing better than getting a bit of fresh air, and what better way to do it than to spend some time in the garden? Not only will you help to boost your vitamin D levels from the sunlight, but you will also be partaking in both anaerobic and aerobic exercises. You may not think that gardening involves much effort, but gardening typically burns from 300 to 400 calories an hour; especially when you are doing vigorous garden activities such as mowing the lawn or forking/turning over the soil. As long as you do not already have the condition then gardening is also a good osteoporosis preventative measure; of course if you are suffering from this condition then you should ask your doctor for advice before doing any strenuous activities in the garden. Making and saving money. Nowadays, money does not seem to be as easy to get as it used to. By growing your own fruit and veg, not only will you enjoy better tasting food but you will also save money on prices paid at farmers markets or the supermarkets. If you concentrate on growing crops that you enjoy to eat and that tend to cost more money than commonly grown plants, then you are likely to save even more money (Broccoli, Tomatoes, Bell Peppers, and Lettuce are particularly cost effective vegetables to consider). Many people take this a step further, and grow excess vegetables to sell at a farmers market stand themselves or to give to their friends in exchange for other things. Many gardeners also make money by growing flowers in the greenhouse and selling them as seedlings/young plants on a market, or even to a nursery/garden center. You can not only make money by selling plants though! It is estimated that a nicely kept garden can add 10–15% to a price of a property, and make it much easier to sell. Brussels sprouts, scientific name Brassica oleracea, are a hardy, slow-growing, long-season vegetable belonging to the Cabbage family.